IN the current football landscape, it’s hard to imagine that Bucharest, the capital of Romania, once provided the world with a European champion. It’s 33 years since Steaua won the European Cup, beating Terry Venables’ Barcelona on penalties in Sevilla. At the time, it was considered to have been a major shock, but it was no fluke, for Steaua were back in the final 1989, losing 4-0 to AC Milan in the Nou Camp. There was a time when trips to Bucharest made western European clubs shiver in anticipation of a tough tie in intimidating circumstances. Not so today, for Romanian clubs barely register in major club competitions and the Romanian game is, generally, at a low ebb – the last time the national team qualified for the World Cup was 1998 and they haven’t made an impact in the Euros since 2000. Bucharest is a city that was once a vibrant football hub, with clubs like Steaua, Dinamo and Rapid all regularly competing in Europe. Back in the pre-WW2 era, the city was known as the “Paris of the East” due to its notable architecture and leisurely ambience. Romania, on the insistence of King Carol, travelled to Uruguay for the 1930 World Cup and played in both the 1934 and 1938 tournaments. It wouldn’t be until 1970 that they appeared again, by which time, Romania was firmly behind the “Iron Curtain”. Despite the mystique that surrounded Warsaw Pact football, Romania produced some fine players. 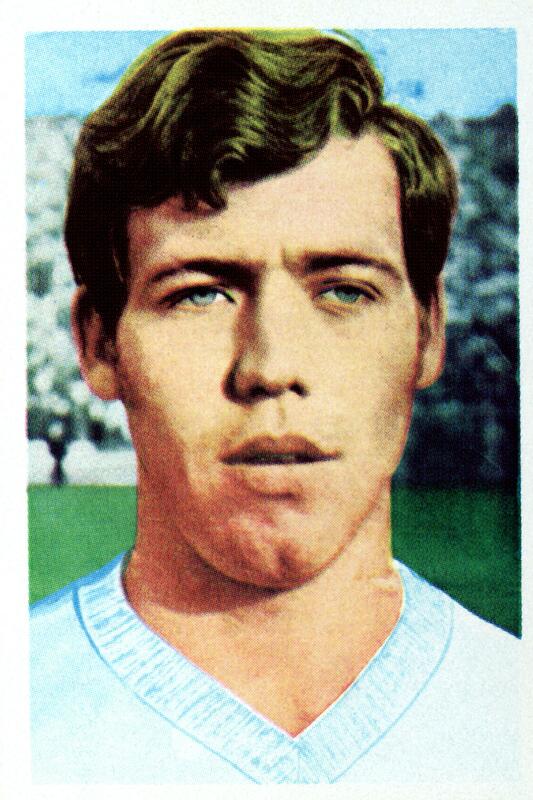 In the 1970 Ballon d’Or, two Dinamo players, Cornel Dinu and Florea Dumitrache, both appeared in the voting. Both players also featured in the 1970 World Cup in Mexico, the latter attracting a US$ 1.5 million bid from Juventus that was rejected by the Nicolae Ceausescu regime. Ceausescu presided over Bucharest’s post-war recovery, which under communism starting to expand. The new areas of the city were characterised by Soviet-style tower blocks and large swathes of the historic city were demolished to make way for so-called “Socialist Realism”- style buildings. Bucharest had a reputation for being grey and dour and in more recent times, the city was renowned for the number of stray domestic animals on its streets. Today, Bucharest is starting to become a tourist destination, popular because – among other things- it offers value for money compared to many major European cities. It also has one of the best internet services in Europe. That said, the city scored lowly in the Mercer Quality of Living Survey in 2018. It’s fair to say that Bucharest is on the rise, though, and over the next five to 10 years, the story will surely change. From a football perspective, Bucharest may have won more championships than any other city – Steaua and Dinamo have lifted the title 44 times between them – but over the past few years, the capital has fallen from its pedestal as the home of Romanian football. In the last three seasons, CFR Cluj, Viitorul Constanta and Astra Giurgui have all been champions. Only once in the post-war history of Romanian football has Bucharest failed to provide a top three club – 1971-72. Football came to Bucharest quite early on in the evolution of the European game and in the inter-war years, AS Venus were the dominant club in the city, winning the championship eight times. The club was dissolved by the Communist authorities in the late 1940s, but was reformed in 2014 and currently plays in Liga V.
Steaua and Dinamo were created during the post-WW2 formalisation of state sport. Steaua, formed in 1947, represented the army and Dinamo, founded in 1948 were the club of the Interior Ministry. Steaua, now known as FCSB after a protracted battle over the club’s name and heritage, are chasing Cluj this season for the top spot. FCSB’s problems began when the Ministry of National Defence sued the club in 2011, claiming that the Romanian Army were the owners of the Steaus logo, colours, history and name. The Romanian Football Federation approved an application to modify the club’s name to SC Fotball Club FCSB SA in 2017. The club was permitted to retain its original honours and UEFA coefficient. Steaua is one of those clubs that has fans across the nation and it is alleged that the club accounts for around 40% of all football fans in Romania. The hub of the club’s fan base is in the southern half of Bucharest. Steaua’s success in the 1980s can be partly attributed to its transformation into the first Eastern European club to be run on commercial lines. 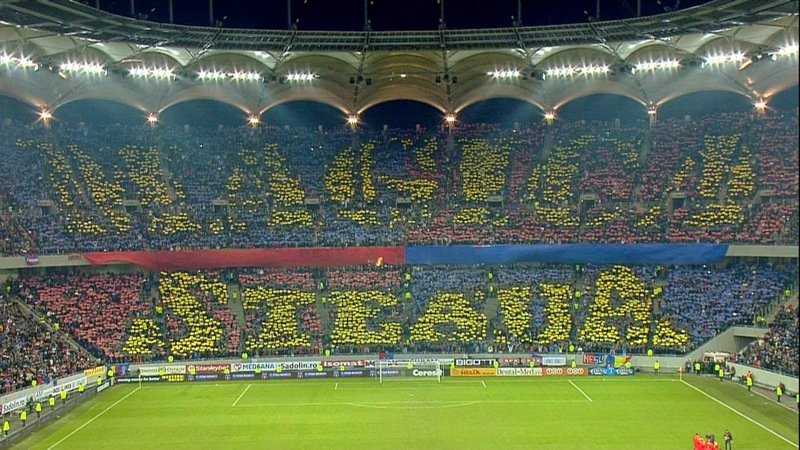 Steaua and Dinamo are fierce rivals. This local clash is known as the “eternal derby” and comes with all the trimmings of a partisan meeting of sporting enemies. Dinamo is the second most supported Romanian club, but its core audience is in the north-east and centre of the city. The club’s Stadionul Dinamo was being renovated for Euro 2020 but because of legal problems, the programme was abandoned. Steaua’s stadium and the national rugby ground are both earmarked for redevelopment. The other historic member of the Bucharest triumvirate was Rapid, the club that was backed by the Ministry of Transport and, notably, railway workers. 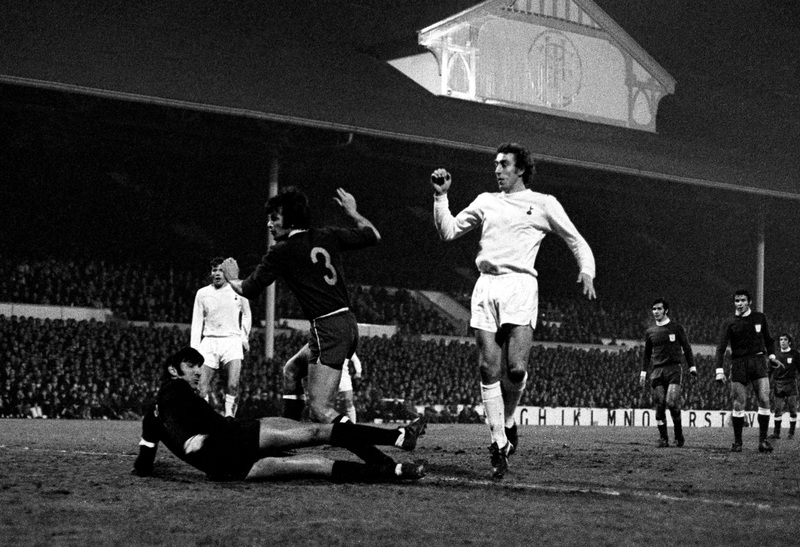 Rapid, in the 1970s, had a reputation for brutal play in European competition – Tottenham fans will recall a particularly robust game in the 1971-72 UEFA Cup, and Rapid’s flamboyant character of a goalkeeper, Râducanu. Rapid were last Romanian champions in 2003, but the club was poorly managed and was declared bankrupt in 2016. The club re-established in the lower leagues, but two clubs emerged owing to an internal split. Eventually, another club was set-up, Academia Rapid Bucuresti, which bought the FC Rapid brand in 2018 and officially became the successor of the original club. Rapid are currently playing in Liga III and are on target to win promotion in 2018-19. The club’s iconic Giulesti stadium, built in the 1930s and modelled on Arsenal’s Highbury, was recently demolished in preparation for a new 14,000-seater ground. The stadium had seen better days and the of-its-time concrete structure had been crumbling for years. Like many eastern bloc countries, Romania’s domestic football suffered after the 1989 revolution, although the national XI had its finest hour in 1994 when a team inspired by Gheorghe Hagi reached the 1994 World Cup quarter-finals. Since then, it has mostly been downhill. Romanian clubs struggle in the UEFA Champions League, although Steaua regularly get knocked out in the play-off round before the group stage. The last time a Romanian side reached the lucrative groups was in 2013-14 when Steaua came up against Chelsea, Schalke and Basel. It’s no surprise that Bucharest’s top clubs cannot easily compete with Europe’s elite. Romania is not a wealthy country – around a quarter of its population lives below the poverty line and the average monthly wage is € 600. However, it is one of Europe’s fastest-growing economies and is expected to grow by more than 4% in 2019. Whether that can translate into better attendances at Romanian football matches remains to be seen. At the turn of the century, Steaua were averaging 12,000 while Rapid were drawing 8,000 and Dinamo 6,000. In 2018-19, Steaua’s gates are less than 6,000 and Dinamo are attracting below 4,000 per game. The average attendance for Liga 1 in 2018-19 is 3,400 – a fall of almost 6% on the previous campaign. Romanian football has an image problem and the comments made by Steaua’s owner, Gigi Becali, do not help the situation. At the back end of 2018, Becali said that while he’s in charge of Steaua, the club will never have a woman’s team. He cited women’s football as being “against human nature”. The Romanian game has had its share of scandals and all the major clubs have been associated with corrupt businessmen, extreme nationalism and racism in the past. Only recently, the former president of the Romanian Professional Football League, Dumitru Dragomir, was sentenced to four years in jail for bribery. Dragomir was found guilty of taking a EUR 3.1 million bribe in exchange for awarding broadcasting rights for Liga 1 games to RCS&RDS, a local telecoms group. As it stands, Bucharest is unlikely to see a return to the days when its principal clubs were tough obstacles in European competition, but there is certainly scope for the current situation to improve. It’s encouraging that UEFA will host the Euro 2020 draw in Bucharest in November 2019. I’m sorry you see this as a negative report. I’d like to point out that we see Bucharest as in the ascendancy and we point out it’s fast growth. But the report is, essentially, based on observation. And despite the name, I’m a Brit! And a Europhile! Best wishes. Neil. By Euro 2020, Bucharest will own 4 new stadiums (Arena Nationala, Steaua, Dinamo, Rapid), 1 new rugby stadium of the NT and the largest indoor arena of East (20,000k, comparable only to Prague, but it’s the newest). Arenele BNR in tennis will also be rebuilt and host Mutua Open (Madrid) instead from 2025.